How Do I Know If Chapter 7 Bankruptcy Is Right For Me? This is a frequently asked question by many of my St. Louis bankruptcy clients, which makes sense. Filing a Chapter 7 bankruptcy is a much easier route than that of a Chapter 13 bankruptcy. The length of time is much shorter, the expense much smaller, and the discharge from debts is received much more quickly. So if a Chapter 7 bankruptcy is the easier path, then how do you know if it is right for you? Well, the most straightforward way to answer that question is to begin with a discussion about whether you qualify for a St. Louis Chapter 7 bankruptcy. According to the standards set by the state and federal governments, there are certain median income levels for each household. For example, the median income for a household of one in the state of Missouri is: $39,332.00. If your income far exceeds this amount, then there is a good chance that you will not qualify for a Chapter 7 bankruptcy. However, if your household income is near or below that level, a Chapter 7 would most likely be something for which you would qualify. There really isn’t a ‘typical’ Chapter 7 client, but if there were, he or she would look something like this: large amounts of unsecured debt (credit cards, medical bills, payday loans, utility bills, etc. ); rents an apartment, and does not own real estate; owns an older car; not much, if any, tax debt; and has not filed bankruptcy before. Does that mean that unless the individual fits into the criteria described above that they cannot file a Chapter 7 bankruptcy? Of course not. That’s why it’s important to understand that there are several different scenarios under which a person can file for bankruptcy. There is not ‘fixed’ model. The St. Louis Chapter 7 bankruptcy attorneys at Brinkman & Alter, LLC have filed Chapter 7 bankruptcies for people who are above the median income level (because there are mechanisms that good bankruptcy lawyers can be used to decrease the amount of disposable income that appears in the forms that are filed with the court), who have multiple pieces of real estate (because in this market, it is rare to find a home with any equity at all), own brand new cars (because the car creditor undoubtedly has a large note secured against it anyway), and have thousands in unsecured debts. Each case is independent of every other one, and every person’s situation is different. However, the threshold question, the one that can make or break, is whether you are above or below the median income level for your particular household size. 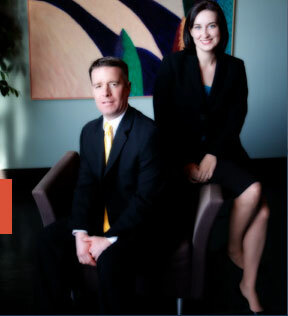 If you have questions related to this issue, please contact our St. Louis bankruptcy attorneys. Our staff is eager to take your call, and all phone and office consultations are free of charge.